Jelastic’s Platform-as-Infrastructure provides software that integrates Infrastructure-as-a-Service and Platform-as-a-Service in a single turnkey package that can be deployed in hours. This new application functionality provides one-click installation of content management systems, wikis, forums, image galleries, project management tools, mail applications and more from the Jelastic user interface or website marketplace. To install an app from the Jelastic website, the customer simply selects the app they wish to have installed and hosted (Jelastic will select a hosting provider in their region based on their IP address), enter their email address and Jelastic will automatically create an environment and install the app in just one-click. 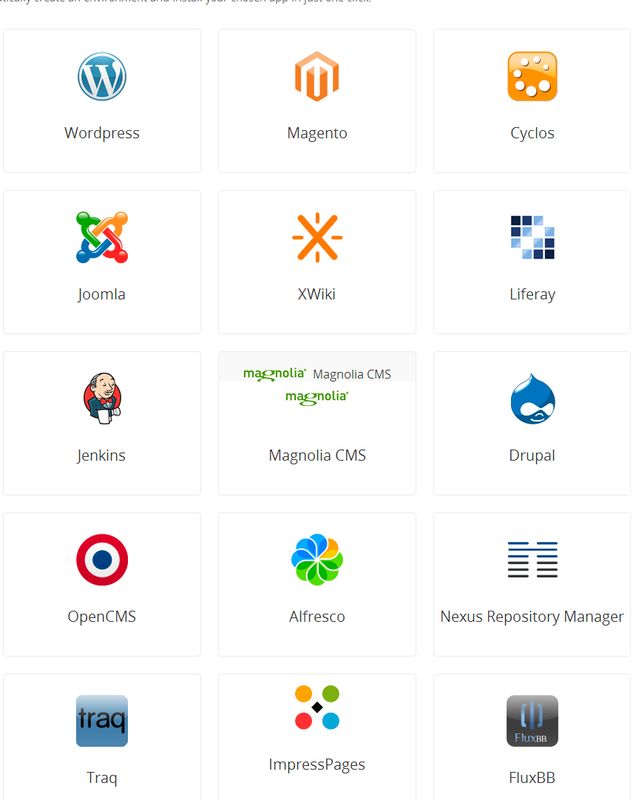 Applications supported include Magento, WordPress, Joomla, Cyclos, Liferay, Magnolia CMS, Alfresco and many other categories including blogs, micro blogs, Portals/CMS, Forums, Image Galleries, Wikis, Social Networking, Ad Management, Mail, Polls and Surveys, Project Management, E-Commerce, ERP, Customer Support, Educational, Music, Video, File Management and more. The full release can be viewed here.